Instructions: Create a 7.5 inch x 5.5 inch card base. Cut out a 6 x 6 inch square with the top in lavender and the bottom in pastel stripe, cut the two with the Fleur Border Basics die from the Patchwork Daisy Paper Collection. Mat with purple cardstock. 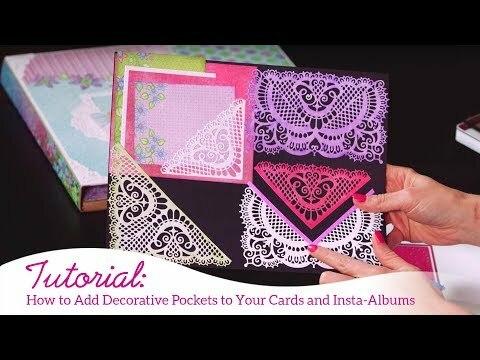 Adhere purple paper from the paper collection to each side of the card and cut out two Decorative Pocket Accents Die in purple cardstock and adhere one to each side on top of the designer paper. Adhere the 6x6 square to the middle of the card. Cut out the two large dies from the Elegant Pocket Accents Die in white cardstock and sponge with Iris, cut out the large die from the Petite Pocket Accents Die in purple cardstock, cut out the large Eyelet Border Basics Die in white cardstock and then cut out two eyelet trims in the white cardstock from the same die set. Adhere the dies as shown. Stamp the Large Sweet Peony and the Small Sweet Peony in Iris on Art Foam Paper, sponge with Iris ink and cut out with corresponding dies. Use video for directions on sculpting foam. 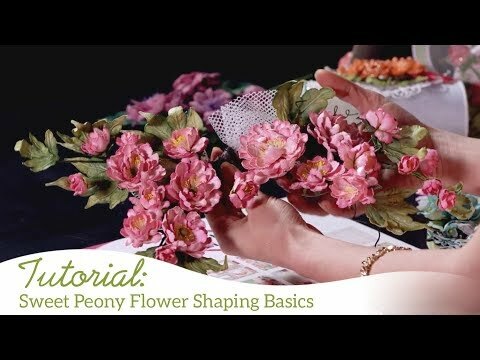 Add bead stamens to centers. 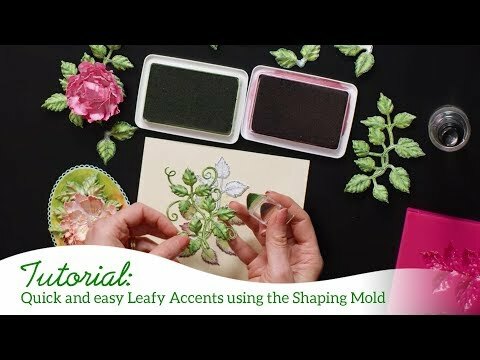 Stamp double leaves from the Leafy Accents set in Library Green and sponge with Vivid Chartreuse, cut out with corresponding dies and sculpt with the 3D Leafy Accents Shaping Mold, see video on using shaping molds. Adhere leaves, flowers, tag from paper collection and seam binding bow as shown.